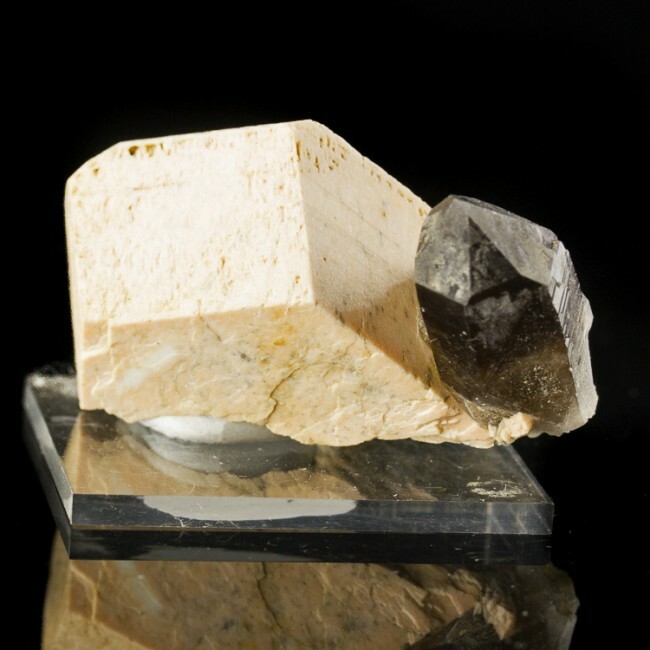 2" Lustrous SMOKY QUARTZ Terminated Crystals on MICROCLINE Moat Mtn NH for sale- This is a fine specimen of smoky quartz from Moat Mountain. 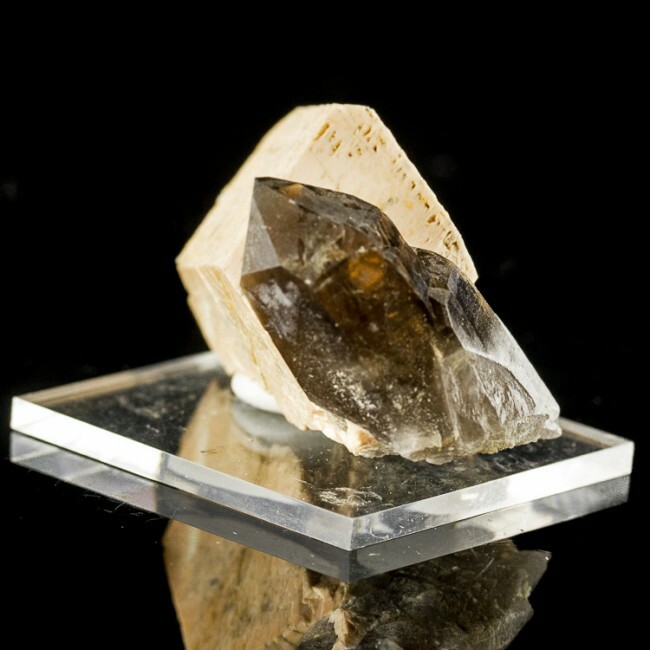 Size 2.0" x 1.5" x 0.8"
This is a fine specimen of smoky quartz from Moat Mountain. 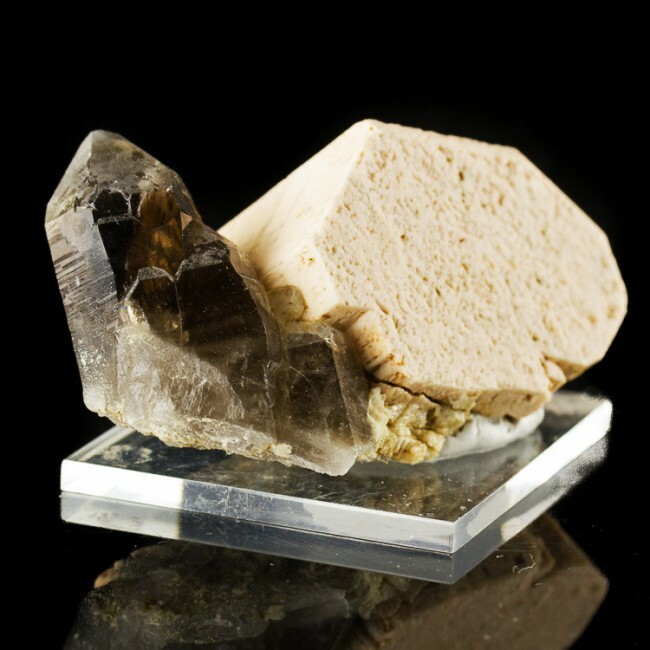 It is part of the Ernie Schlichter collection that I purchased at the Tucson Gem, Rock & Mineral Show. 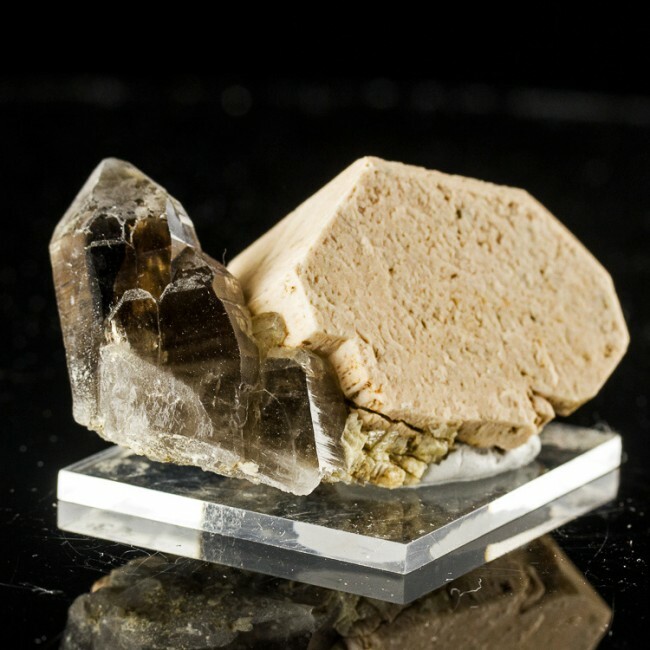 Ernie was a renowned New England field collector, and this is one of the treasures he dug himself (at the 2012 Gilsum NH Rock Swap I showed this piece to one of his long-time collecting partners, who confirmed that he and Ernie had dug it themselves in the late 1970s). 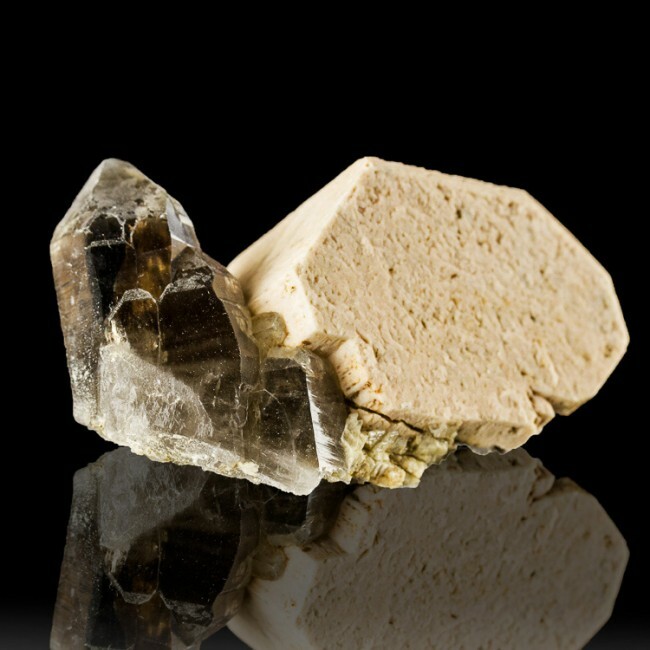 The smoky quartz, which sits jauntily beside the sharp microcline crystal, is sharply terminated, and both are free of any damage. Great aesthetics.